This is for 1 pcs. 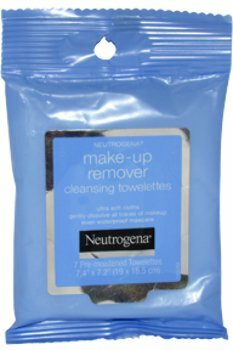 Women Neutrogena Make-Up Remover Cleansing TowelettesClinically proven to remove 99.3 percent of your most stubborn makeup, even waterproof mascara. With one step, Neutrogena makeup removers leave skin thoroughly clean with no heavy residue. These gentle, ultra soft cloths contain superior cleansing technology so effective it removes even waterproof mascara. 7 Pc.